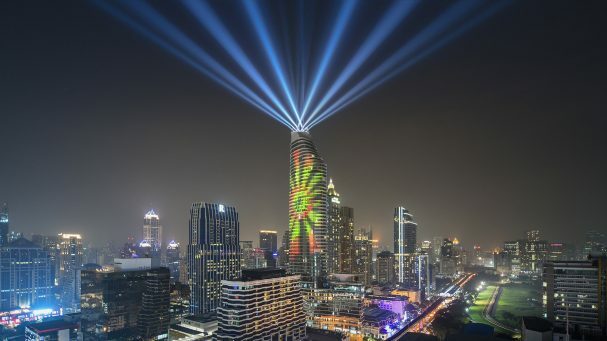 Magnolias Ratchadamri Boulevard (MRB), a super-luxury mixed-use development by MQDC (Magnolia Quality Development Corporation Limited), is hosting a spectacular year-end 3D projection mapping performance on its 60-story tower, introducing world-class high-rise building mapping to Thailand. The show – ‘Beautiful Bangkok @Ratchaprasong’ – has been endorsed by Ratchaprasong Square Trade Association (RSTA) and the Tourism Authority of Thailand (TAT). Set to enchant visitors to Ratchaprasong from 14 December to New Year’s Eve, the 3D projection mapping event is officially launching on 13 December at HEAVEN Bangkok, on the 18th floor of CentralWorld, at a presentation chaired by Ms. Kobkarn Wattanavrangkul together with Mr. Yuthasak Supasorn and Mr. Fafuen Temboonkiat. Mr. Visit Malaisirirat, CEO of MQDC or Magnolia Quality Development Corporation Limited, said that ‘Beautiful Bangkok by Magnolias @Ratchaprasong’ would help bring in a joyful year-end. “To celebrate this wonderful time of year for both Thai and foreign tourists, Magnolias Ratchadamri Boulevard (MRB) has invited ‘Limelight’, a world-class artist group, to create a new masterpiece in Thailand. As the performance will embody Thainess and our cultural pride, it will boost our national image and reinforce Bangkok as an international destination for business and leisure. We are proud to be collaborating on this initiative with Ratchaprasong Square Trade Association (RSTA) and the Tourism Authority of Thailand (TAT),” he said. Mr. Fafuen Temboonkiat, secretary of the Ratchaprasong Square Trade Association (RSTA), said, “On behalf of Ratchaprasong Square Trade Association (RSTA), we are delighted that Magnolias Ratchadamri Boulevard (MRB) has joined our association as we believe the project will enhance the hospitality and luxury residence segments in the south of the district, helping Ratchaprasong emerge as Bangkok’s future city. 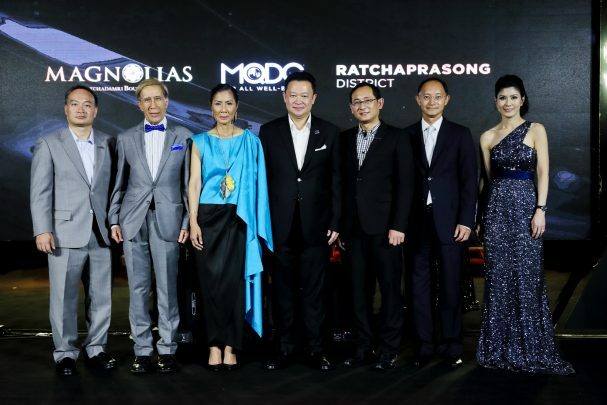 Mr. Yuthasak Supasorn, the governor of the Tourism Authority of Thailand (TAT), said, “It is very pleasing that the Magnolias Ratchadamri Boulevard super-luxury mixed-use development has joined Ratchaprasong Square Trade Association (RSTA). This gives more opportunities for businesses in Ratchaprasong Square to meet the needs of both Thai and foreign tourists. 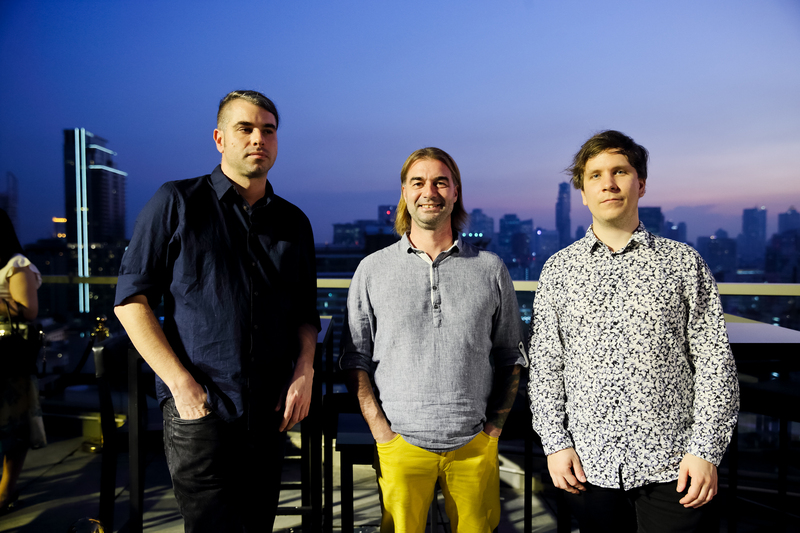 The highlight of ‘Beautiful Bangkok by Magnolias @Ratchaprasong’ is Limelight’s unique performance, led by Mr. Viktor Vicsek and Mr. Istvan David, whose previous shows have stunned the world. 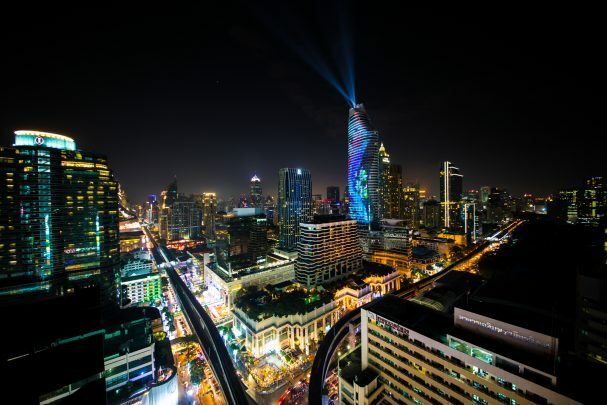 This time, they are going to debut in Thailand a masterpiece under the concept ‘Beautiful Bangkok’ – a 3D projection mapping performance over the 60-story tower of Magnolias Ratchadamri Boulevard (MRB). The launch event will be graced with enchanting performances from Ratklao Amaradit, Nont Tanont (Nont The Voice), Zani Nipaporn Thititanakarn. Mr Raj Tanta-Nanta, Group President of DTGO Corporation Limited, the parent of MQDC, together with Mrs Sasinan Allmand, Executive Vice President of Corporate Marketing and Communications, and Ms Peachpattha Pakakan, Vice President of project marketing, will warmly welcome honorable guests including Mr Fafuen Temboonkiat, secretary of Ratchaprasong Square Trade Association (RSTA), and celebrities such as M.R. Tim S. Bhanubandh, ML Thongmakut Thongyai, Mrs. Chanadda Chirathivat, Mrs. Panumas Chirathivat, Ms. Monlada Pongpanit, Ms. Manvad Nakornthap. Beautiful Bangkok by Magnolias @Ratchaprasong’s 3D projection mapping performance will take place on 14-31 December 2017 at Magnolias Ratchadamri Boulevard (MRB) at 19:00, 19:15, 19:30, 19.45, and 20.00, with an additional New Year’s Eve performances at 23.55. A photography competition is also now open for both amateur and professional photographers to win prizes of up to THB100,000. Contestants should simply send landscape or selfie photos of Magnolias Ratchadamri Boulevard (MRB) under the theme ‘Beautiful Magnolias’ and post them with hashtags #beautifulbangkok, #beautifulratchaprasong, #beautifulmagnolias, and #bangkokiconiclandmark in the caption. To submit your photos, upload the files on a website such as WeTransfer, Dropbox, or GoogleDrive together with your contact details (name, address, telephone number) and send the link to beautifulbangkokbymagnolias@gmail.com. 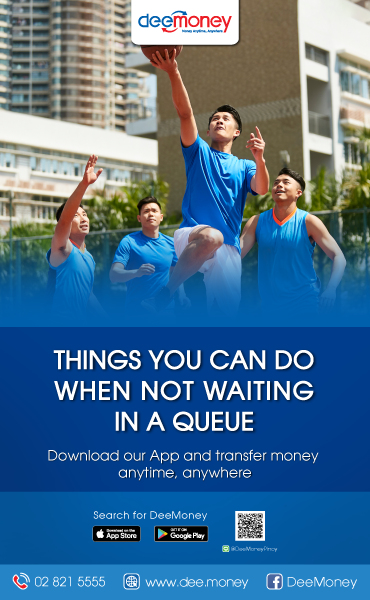 The competition is open from 14 December 2017 to 5 January 2018. The winner will be announced on 30 January 2018. For more information about the performance and activities, visit www.facebook.com/MagnoliasRatchadamriBoulevard. Magnolias Ratchadamri Boulevard (MRB) is a mixed-use super-luxury project with sophisticated and iconic architecture inspired by magnolias flowers. It is on Ratchadamri Boulevard, at the heart of Bangkok’s central business district amid well-known lifestyle complexes and malls. 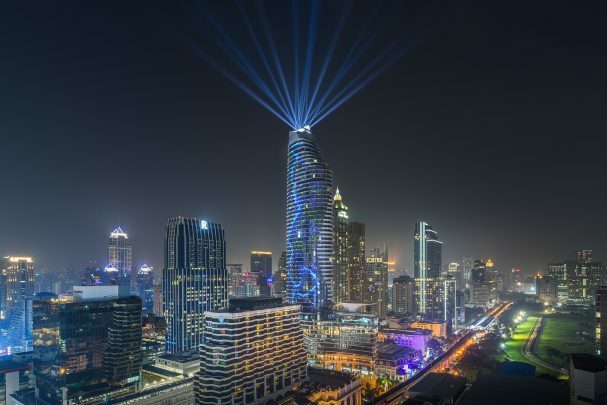 The project hosts 316 luxury residence units in its 60-story tower plus offices, retail areas, and the 5-star Waldorf Astoria Hotel Bangkok, the first branch of Hilton’s flagship brand in Southeast Asia. The project aims not only to respond to modern residential lifestyles but also to give Ratchadamri Boulevard a new Bangkok landmark. 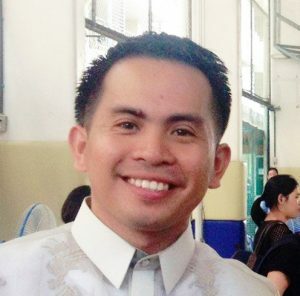 Magnolia Quality Development Corporation Limited is a business unit of DTGO Corporation Limited (DTGO) that develops, invests in, and manages villa, condominium, and mixed-use projects. MQDC develops residential and mixed-use projects under the Magnolias and Whizdom brands. Poly Plus PR Company Limited.